In a time when members of the LGBT community are focusing on rights, equality, and marriage, other concerns may fall by the wayside, including this population’s health and mental health needs. Substance use and abuse is one area that needs more attention. According to the Substance Abuse and Mental Health Services Administration (SAMHSA), the rate of substance abuse disorders among LGBT individuals isn’t well known, but studies indicate it may be 20% to 30%, which is significantly higher than the general population (9%). National research (Marshal et al., 2009) has shown that substance abuse is twice as prevalent in LGBT youths compared with their peers, notes Jeremy Goldbach, PhD, LMSW, an assistant professor at the University of Southern California School of Social Work. However, he adds, “Less than half a percent of all [National Institutes of Health] funding went to LGBT issues, and within that half a percent, 82% was focused on sexual risk and HIV. So if it’s not about sexual risk or HIV—and primarily in adult gay men ... we basically have no idea” about the true statistics. In addition, some studies dispute these higher numbers, according to Elaine M. Maccio, PhD, LCSW, an associate professor at the Louisiana State University School of Social Work. “It’s important to keep in mind the challenges in conducting research on any topic among LGBT people because of the inherent difficulty in defining, identifying, and locating participants,” she notes. Raised in an unsupportive culture, surrounded by homophobia and bullying, and lacking familial support, the stressors of individuals who identify as LGBT, especially youths, add up, and these youths often escape into substances just like their peers do. In addition, bars and clubs have a historical association as a central meeting place for the LGBT community, creating easy access to substances and providing a fertile ground for impressionable youths. Separating out LGBT youths from their peers isn’t easy, though, and if not done adeptly, may only increase the sense of isolation and differentness they already may feel. In addition, Goldbach says, there are no evidence-based LGBT-focused interventions or programs currently available for youths, although Caitlin Ryan, PhD, ACSW, and the Family Acceptance Project are working toward helping these youths. In addition, Goldbach is involved in telehealth research to reach this youth population, especially rural individuals who would be hard-pressed to access a nearby program or don’t have options available locally. As adults, LGBT people may be discouraged from seeking substance use treatment because of previous negative experiences in coming out to health care providers, anticipating negative reactions from the providers, or having heard about others’ bad experiences when seeking treatment. Therefore, word of mouth can be an ideal method for providers to promote that they’re LGBT friendly and to direct people to the services they need. To create a welcoming environment in their offices, providers should include open terminology on forms, such as “relationship status” instead of “marital status”; offer check boxes for “partnered” for those who aren’t married; and have an option for transgender and intersex people to identify themselves as such, if they choose. In addition, they should make sure posters, brochures, and other office materials equally depict LGBT people or symbols. For social workers with LGBT clients, traditional interventions are appropriate, Maccio says, but it’s important to be culturally sensitive in delivering them. “We need to encourage cultural competence among social workers,” Goldbach agrees. 1. Don’t assume that a client is heterosexual. 2. Believe that homophobia in the client and society is the problem rather than sexual orientation. 3. Accept identifying as a gay, lesbian, or bisexual person as a positive outcome of the helping process. 4. Work with clients to decrease internalized homophobia that they may be experiencing so that clients can achieve a positive identity. 5. Become knowledgeable about different theories of the coming-out process. 6. Deal with one’s own homophobia and heterosexual bias. Goldbach recommends social workers create an alliance with the LGBT community as a way to increase their understanding of the community and to be able to access those individuals who need help. However, when working with these clients, providers should remember that while being part of this community may increase the likelihood of certain baggage from being LGBT in the current social atmosphere, the community is diverse culturally and in individual experiences, so it’s important to meet clients where they are. Language also is important, and letting clients identify themselves with open options on forms can direct the language that the client would prefer be used. “Some men, particularly in communities of color, do not identify with the terms ‘gay,’ ‘bisexual,’ or ‘queer’ and may, in fact, identify as ‘heterosexual’ or ‘straight,’” Maccio says. If a provider were to use those terms in relation to that individual, then he or she may not respond well. While studies may indicate that there’s a higher rate of substance abuse among the LGBT population, numbers can be blinding. It’s critical to avoid making assumptions when dealing with an already-stigmatized group. But the research needs to move beyond reporting, which just shows differences, Goldbach says. The youth studies aren’t focused on gay youths, but they highlight high rates among them. When looking at issues such as substance abuse and suicide, there are large numbers of gay youths because they’re more likely to have these problems due to the previously discussed stressors. The next step is for studies to be done focusing on this population so that the underlying issues can be found. “Now we need to look at how to help this population and fix the problem,” Goldbach says. — Brandi Redding is a freelance writer and editor in Royersford, PA. Crisp, C. (2006). The gay affirmative practice scale (GAP): A new measure for assessing cultural competence with gay and lesbian clients. 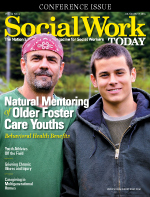 Social Work, 51(2), 115-126. Marshal, M. P., Friedman, M. S., Stall, R., King, K. M., Miles, J., Gold, M. A., et al. (2008). Sexual orientation and adolescent substance use: A meta-analysis and methodological review. Addiction, 103(4), 546-556.